Today marks the 45th anniversary of the assassination of civil rights icon, the Rev. 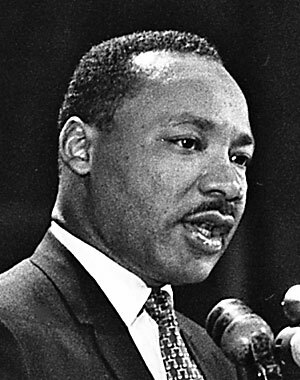 Dr. Martin Luther King, Jr. As I was perusing my blog for earlier posts, I ran across this one I wrote five years ago. Truth be told, not much has happened in the interim, except the country has elected a black president, not once but twice. For some – and certainly those challenging Section 5 of the Voting Rights Act – that signifies that racism is dead in America. I don’t think that is true. If anything, the election of President Barack Obama has heightened racism in our country – or, at least, pulled back the covers and exposed it for all to see. Five years ago, I didn’t think it possible for Obama to win. I really thought he would suffer the same fate that November that Harold Ford, Jr. had suffered just two years earlier. Obama managed to avoid that, by being a post-racial candidate, to the chagrin of black folks who thought we were getting one of our own in office. Black folks are mostly quiet about this – disappointed, yes, but quiet. In the meantime, racism-tinged or outright racist posts and pictures still appear on Facebook and on Twitter. For me, this increase in overt racism is a concern, and I doubt I’m alone in having a heightened sense of it. I wasn’t raised nor have I spent my adulthood thinking that every little thing is about race. The last few years, though, have me questioning that, as it seems so many things are about race. … one of the great liabilities of life is that all too many people find themselves living amid a great period of social change, and yet they fail to develop the new attitudes, the new mental responses, that the new situation demands. They end up sleeping through a revolution. I fear that many are still sleeping.